This 1 day first aid course is designed to equip staff dealing with school aged children with the confidence and skills to deal with a first aid incident. It is based on the Ofqual regulated EFAW but aimed more to the School environment where specific playground / classroom injuries can occur and using the typical school reporting procedures. 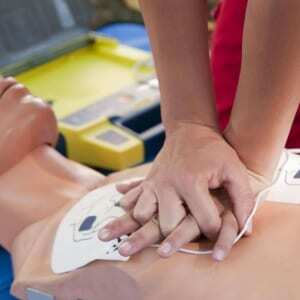 The course includes the safe use of AED’s (Automated External Defibrillator). First aid provides treatment for the purpose of preserving life and minimising the consequences of injury or illness until medical help arrives. It also provides treatment of minor injuries, which would otherwise receive no treatment. Delegates on this course will receive an attendance certificate to show that they have received training under The Health & Safety (First Aid) Regulations 1981 (supported by an Approved Code of Practice, revised 1997). Although non accredited, this course is acceptable to the authorities providing a “Needs Risk Assessment/Due Diligence” has been undertaken confirming accreditation is not necessary due to the low level of hazard. Contact us if you need assistance with this and ask for our Needs Risk Assessment form. 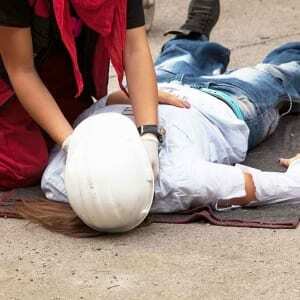 Our instructors are Ofqual regulated HABC accredited first aid trainers and have extensive experience in their field. This 1 day course is offered in-house. Any employee age 16 or over wishing to further their knowledge in School specific First Aid, may include; teachers, admin staff, kitchen staff, teaching assistants. Certificates are issued by Ashtree as non accredited and will last 3 years from date of issue, the HSE are strongly recommending the use of 1/2 day annual refresher courses. Full candidate notes will be supplied. Group Price £310.00 + Vat for up to 12 delegates max. This course will require the provision of a suitably sized room to allow all candidates adequate space to practice CPR on an adult and junior resuscitation mannequin. There is no end of course test; certificates will be issued by Ashtree on the basis of tutor assessment of the candidate’s skills throughout the course.